Built by the Hayes family in 1750, we find the Rev. George Hickson living there in 1857. George, born 1875 in Ballintaggart to Robert FitzJohn Hickson and Judith Murray, married Rebekah Charlotte Rowan Purdon, 1829, in Tralee. He was Protestant. 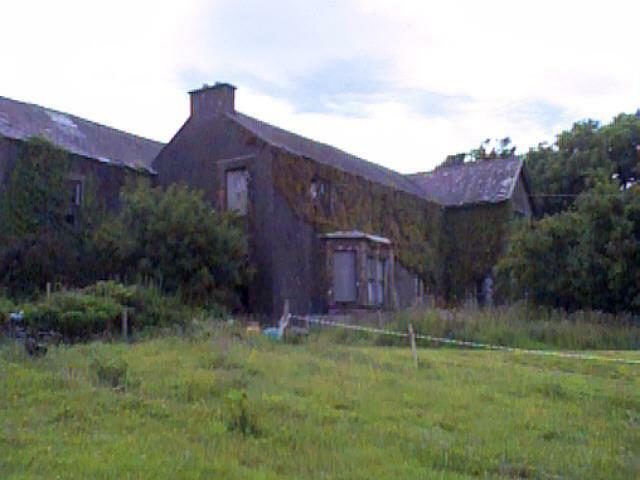 We visited this house in June 2003 which is approached up a long drive, along the slopes of a hill, situated in lovely surroundings and found that it is now deserted and in a very poor state. A new, modern bungalow has been built in front of it where the last owners now live. Behind the house are the old farm buildings which are still used today. This house was built in three phases. The east end is the oldest part and some of the back is still slate-hung. In the front, the windows and doors are edged in brick. There is a steep, slated roof and, where there are changes in levels, gable ends are present. Dromod is sometimes written Drummid. From Waterville on the Ring of Kerry, take the road towards Caherciveen. After about 6 km, there is a cross roads. Turn left and a few yards to the right are the entrance gates to the property.